Bob Ojeda has worked with in higher education positions for the past 15 years. He has held positions in admissions, recruiting, advising and career counseling. 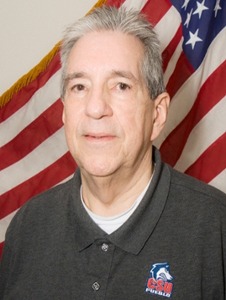 Bob has been employed at CSU Pueblo since 2013 as Veteran Benefits Coordinator. Mr. Ojeda was born in Puerto Rico moved to the mainland to serve in the US Army from 1983 to 1994 spending most of his military career between Europe and Asia. Stationed at Ft Carson in 1991. Mr. Ojeda holds a Master’s of Science Degree in Counseling from the University of Bridgeport, Bridgeport, Bridgeport CT and a Bachelor degree in Political Science with a minor in Psychology from the University of Puerto Rico, Rio Piedras, PR.